As you may already know, I have over 100 white bass fillets in my freezer. I have already eaten white bass fried, in fish tacos and grilled, so I wanted to try something a little different this time. I pulled a package of fillets out of the deep freeze and defrosted them in the sink. 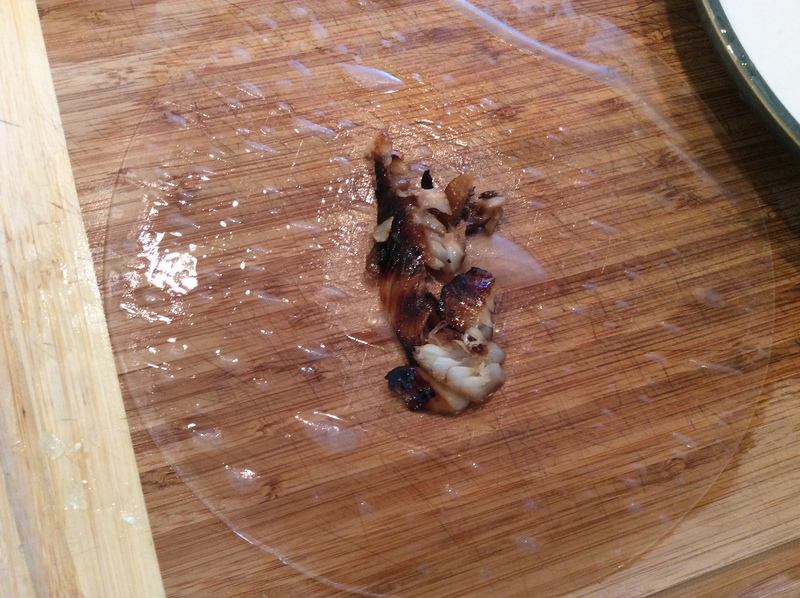 As the fillets defrosted, I racked my brain to come up with a new way to cook this delicious fresh water fish. 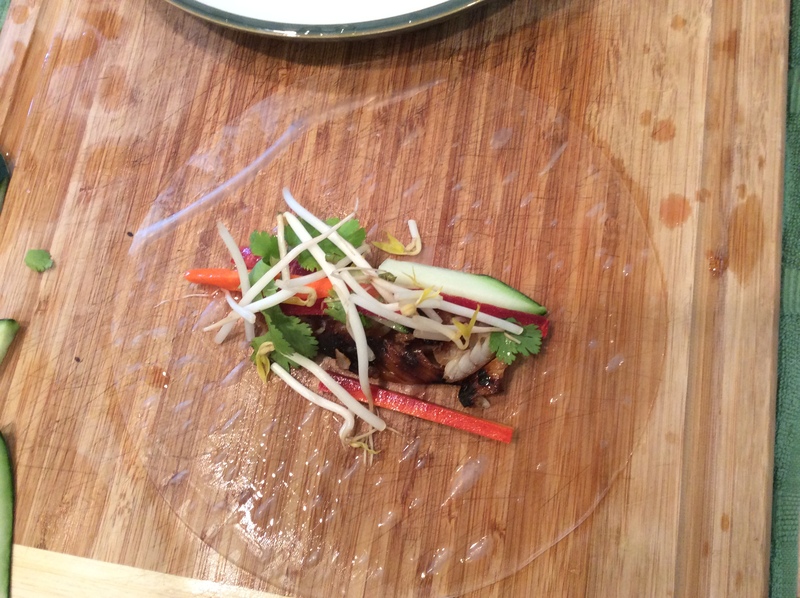 After a few minutes, I decided to try a recipe with an Asian flair. 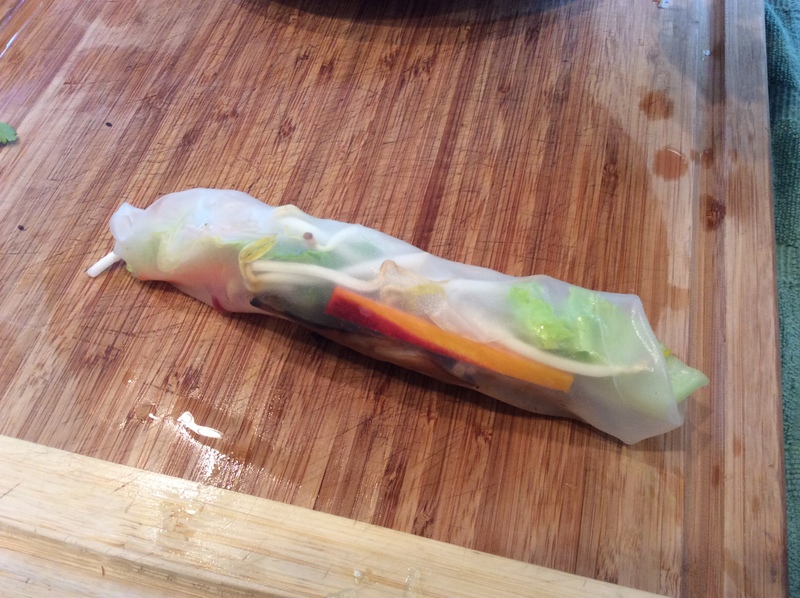 I love Vietnamese spring rolls and I love Japanese yakitori, so I decided to fuse the two recipes. 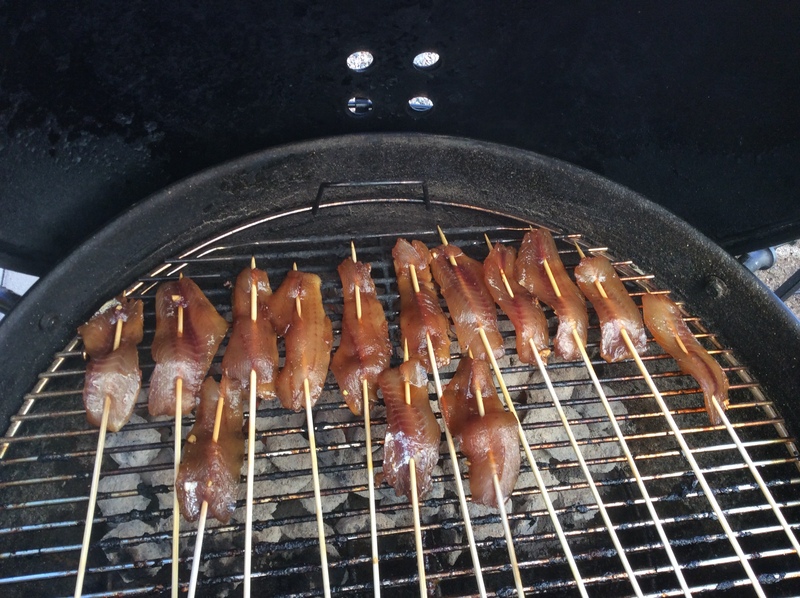 The term “yakitori” refers to the Japanese way of cooking proteins and vegetables by skewering the food and cooking it over charcoal. 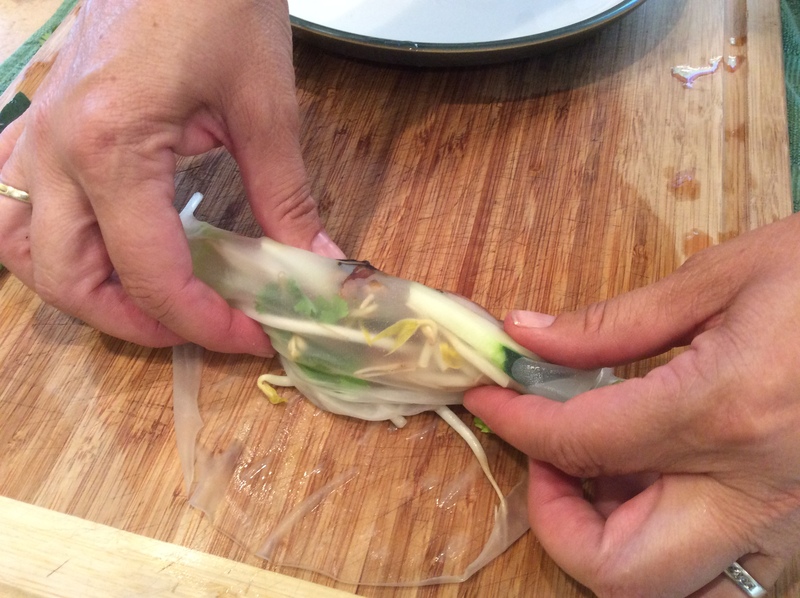 I had no idea how this recipe would turn out but I figured that the freshness of the spring roll ingredients would mesh well with the unami flavor of the yakitori fish. 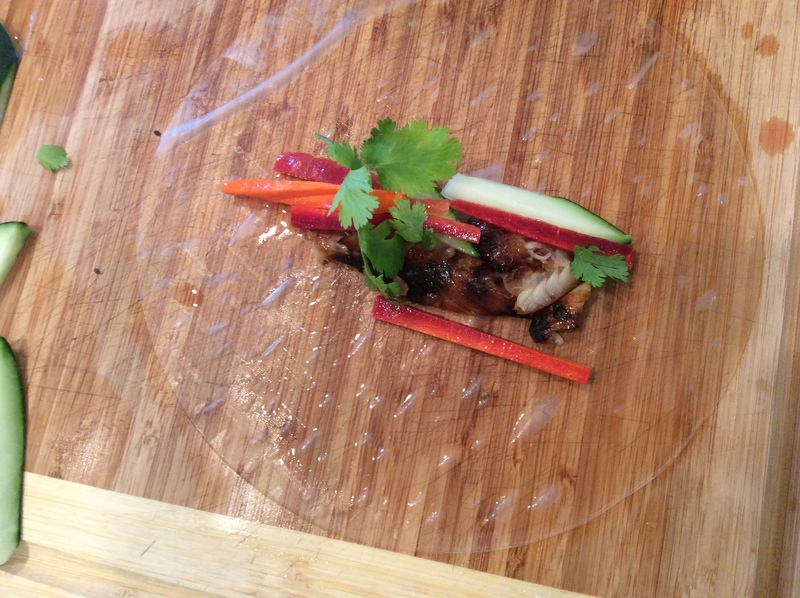 I proceeded to make an Asian marinade,(ingredients and process listed below) and soaked the white bass fillets in the marinade for about 3 hours. 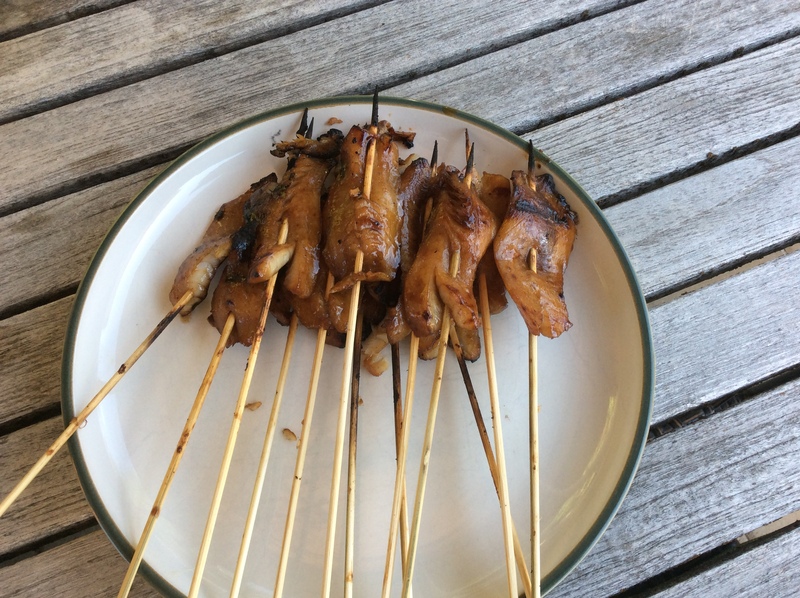 After they were marinated, I skewered them on bamboo skewers and roasted them over white hot coals. 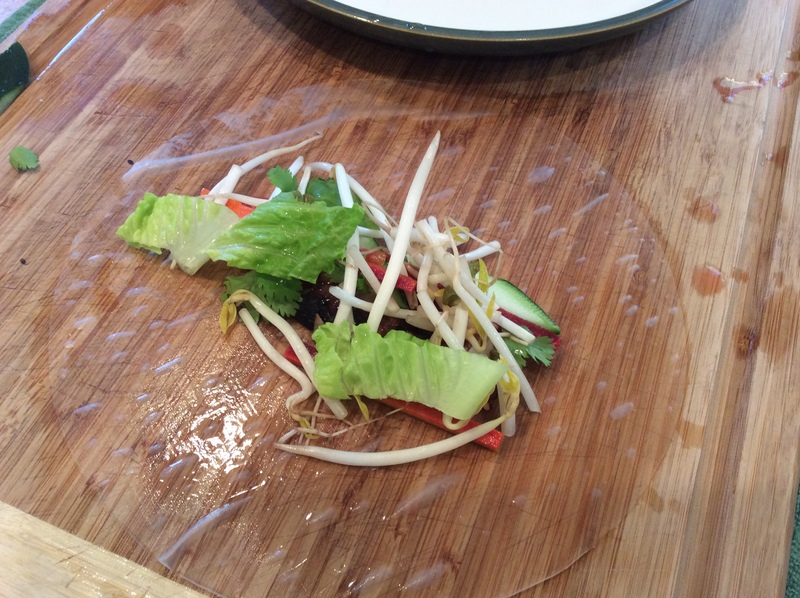 I then combined the fish with the vegetables, (listed below) in a rice paper wrapper and served them with a good, chilled Japanese Saki! The recipe turn out fabulous and I would highly recommend that you make this with white bass fillets or another firm white meat fish, if you do not have access to white bass locally. 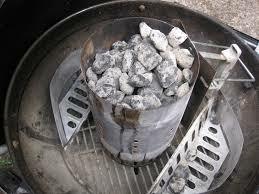 The fish had a distinctive Asian flavor with a hint of smokiness from the charcoal. 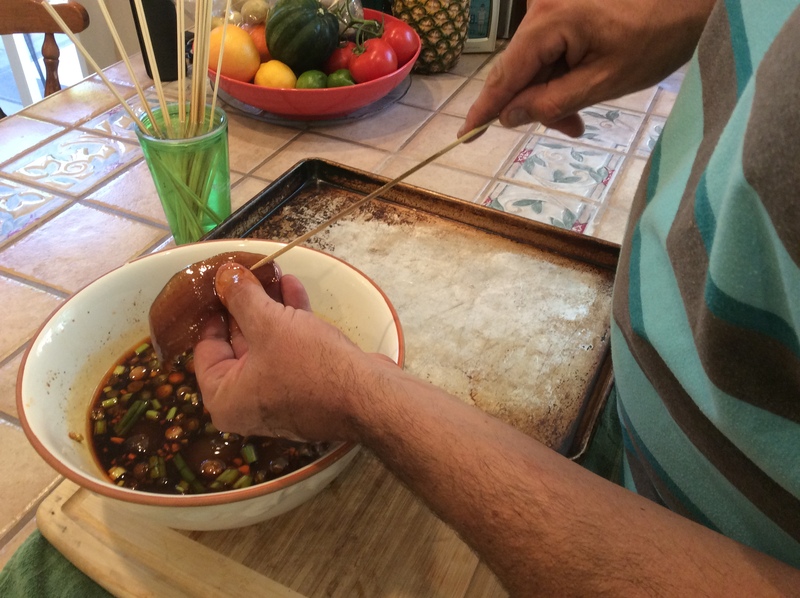 I also made a dipping sauce which was based on a Vietnamese dipping sauce recipe that is traditionally served with spring rolls. I will definitely be making this dish many more times over this summer! If you like mint, add a few mint leaves to each role. 3 multi colored carrots sliced thinly and cut into 3 inch pieces. Enough rice vinegar to cover the carrots in a shallow bowl. 1 tablespoon of kosher salt. 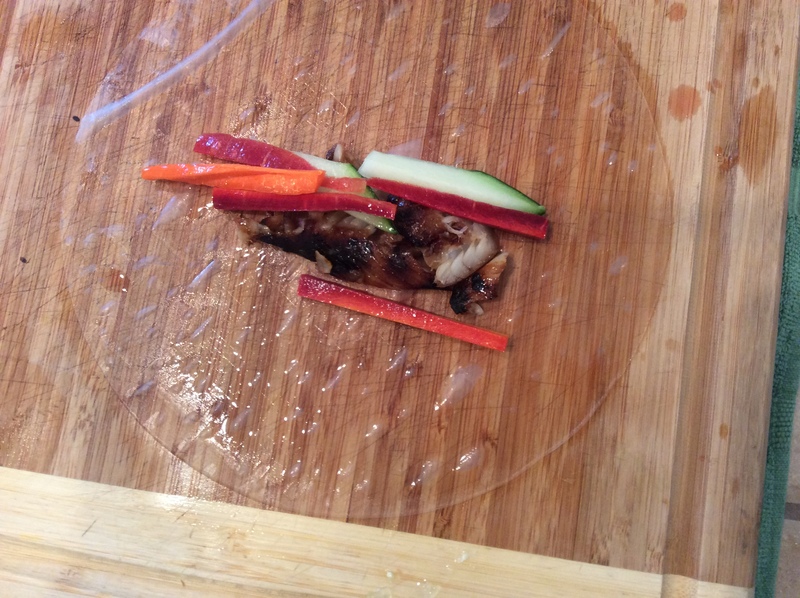 Put the carrots in a shallow bowl and cover with the vinegar. Add the salt and mix together. Let the carrots pickle for about 3 hours. 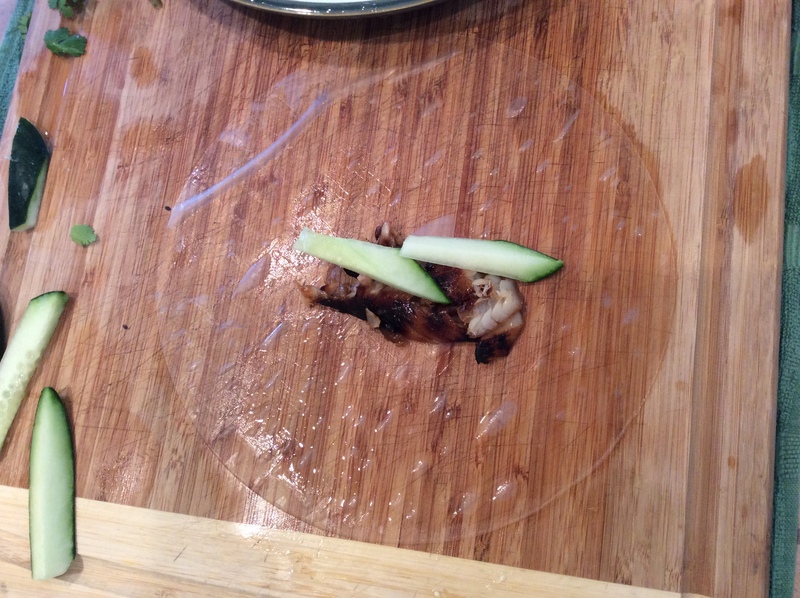 Cucumber sliced thinly and in 3 inch sections. 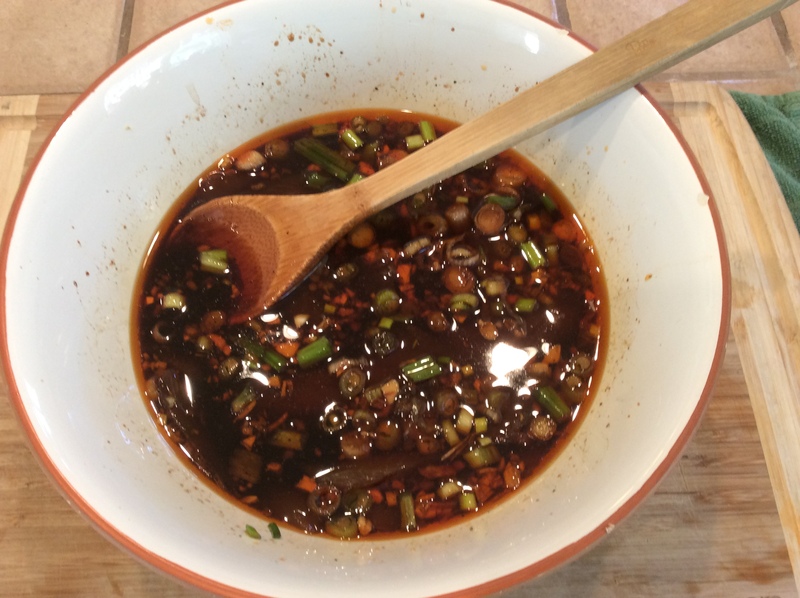 Combine marinade ingredients into a ceramic bowl and mix together thoroughly. 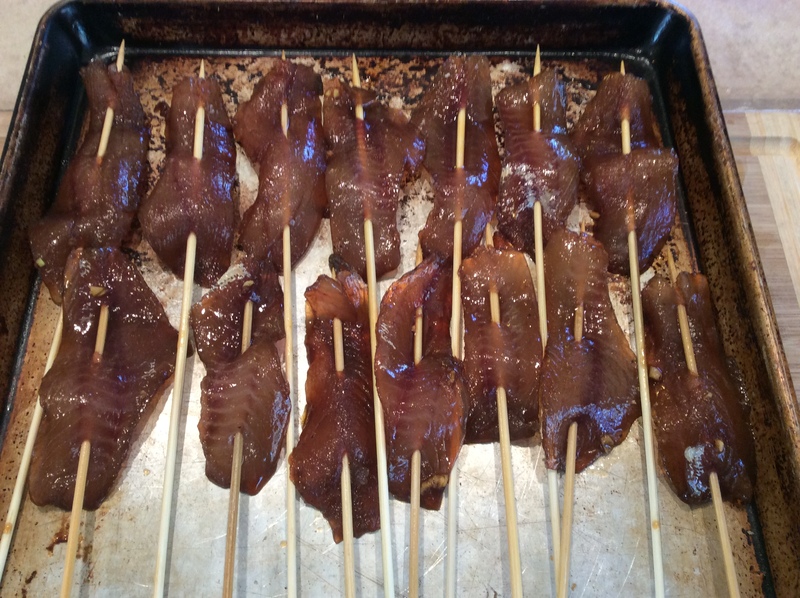 Add fish fillets to marinade and let marinate for 3 hours. 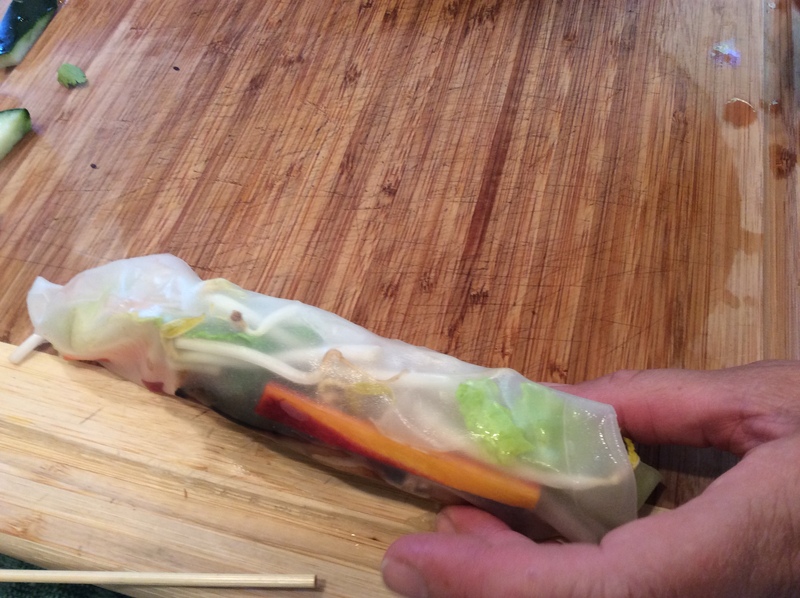 Now it is time to assemble the spring roll. Add two pieces of cucumber. Add 3-4 pickled carrot slices. Add a few cilantro leaves. Add lettuce and basil leaves. 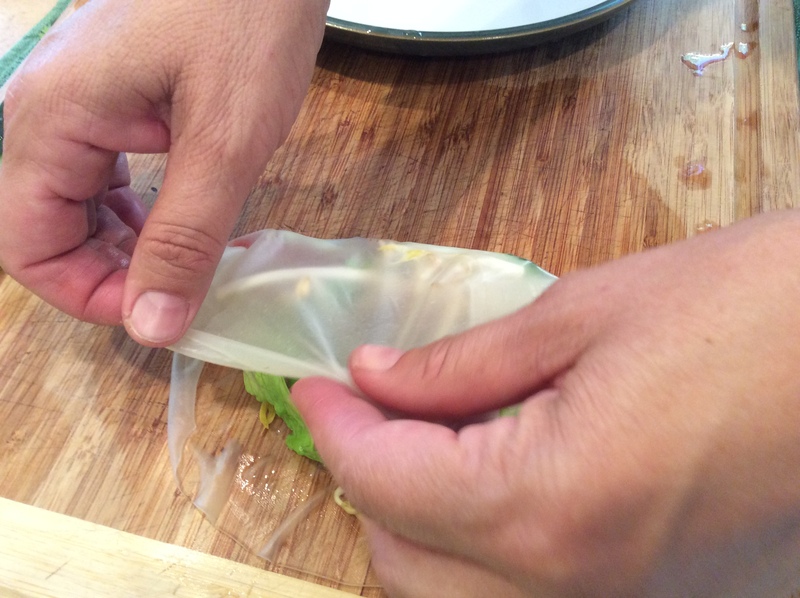 Fold both sides of the wrapper towards the center of the vegetables. 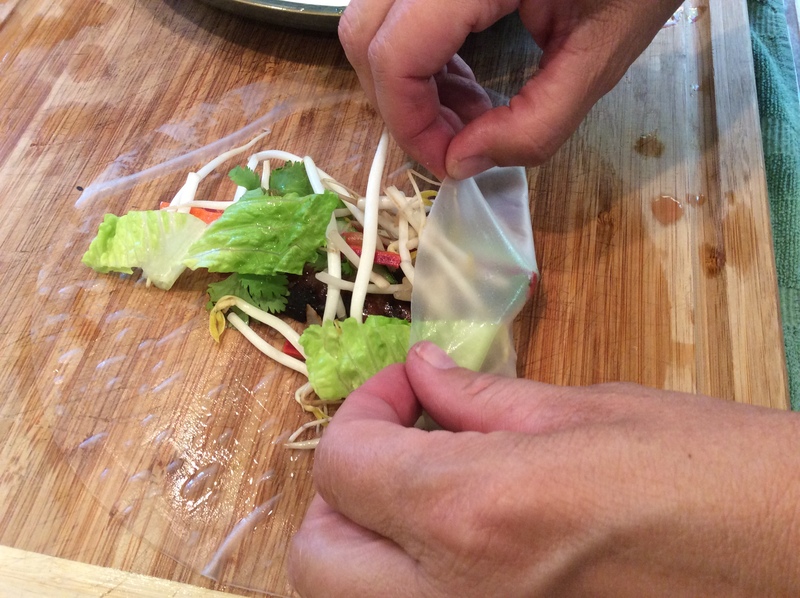 Now roll the wrapper over the vegetables to form the spring roll. It is that time of year, asparagus is poking through the dirt. If you are lucky, the asparagus growing season has begun in your neck of the woods. Get out and forage some for a great early spring meal. Pasta A La Spring is a delicious way to celebrate the beginning of spring with fresh asparagus and shrimp in a richly flavored cream sauce! Make this recipe soon! My first memories of wild asparagus date back to 1976. I was too young to have read Euell Gibbons book, “Stalking the Wild Asparagus” but I was old enough to remember walking the canal behind my grandparents house with my grandfather looking for little green asparagus nobs poking through the moist dirt. As with most moments in life, I wish I could go back in time and stalk these little heralds of spring on that canal with my grandfather. Time has taken my grandfather and progress has covered that little canal but the memories are still fresh in my mind. Every spring, fresh California asparagus starts to show up in the grocery store. After a long winter of asparagus from Mexico or South America, it is a nice change to have a vegetable that is from close to home instead of one that needed a passport to make it to the stores shelves. With asparagus, freshness is everything! There is no fresher asparagus then the ones that you pick on a local ditch or field. Where to find these little delicious stalks of green gold? It tends to grow in rural areas where there is water. Look around irrigation ditches in the countryside , open fields with moist soil, marshy areas and old abandoned farmsteads. Avoid private property unless you are invited on by the owner. It is very common to find the asparagus in ditches on the side of a road. Park and walk the ditch. Make sure that if you are walking along a roadside ditch that the local government authorities don’t spray it with harmful chemicals. Eating asparagus that is frequently sprayed with herbicides is not healthy and should be avoided. One of the best ways to find asparagus is to look for them after they have gone to seed. Even though you do not eat the plants that have gone to seed, finding plants that have seeded out will allow you to make a note of where the asparagus in your local area is growing. To identify asparagus that has gone to seed, the asparagus plant will look like a small evergreen tree with little green or red balls on it (see Picture). Once you locate these plants, make a note and be sure to return to the area next spring when the asparagus is just starting to grow. Remember, never eat any plant that you cannot identify! Get out this spring and look for asparagus. Good luck! This soup can be made with the first greens of spring. 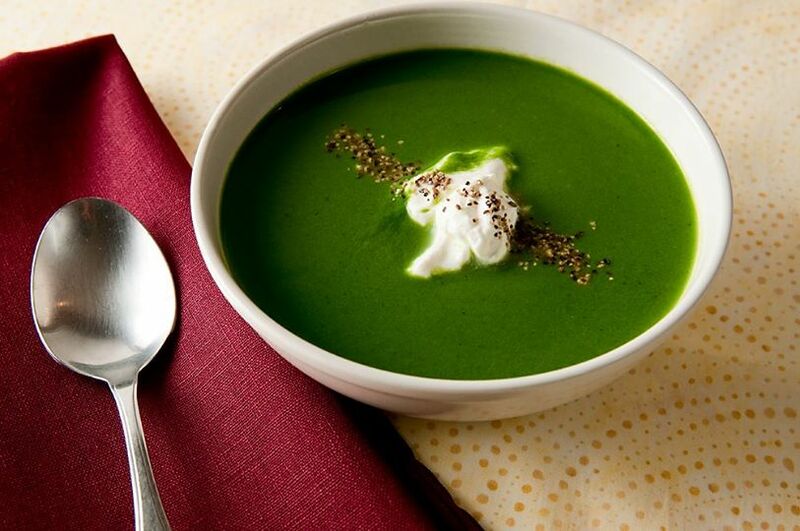 Stinging nettles, wild spinach, wild watercress and wild lettuces can be used to make this delicious foraged soup. If you do not have access to the wild versions of these vegetables you can use leafy vegetables from your local store or farmers market. The key to this soup is to use greens that are fresh. The best greens will be found at the first farmers markets of the year. Get to know your local farmers and support their enterprises. Locally grown is good for the environment, the local economy and your health. 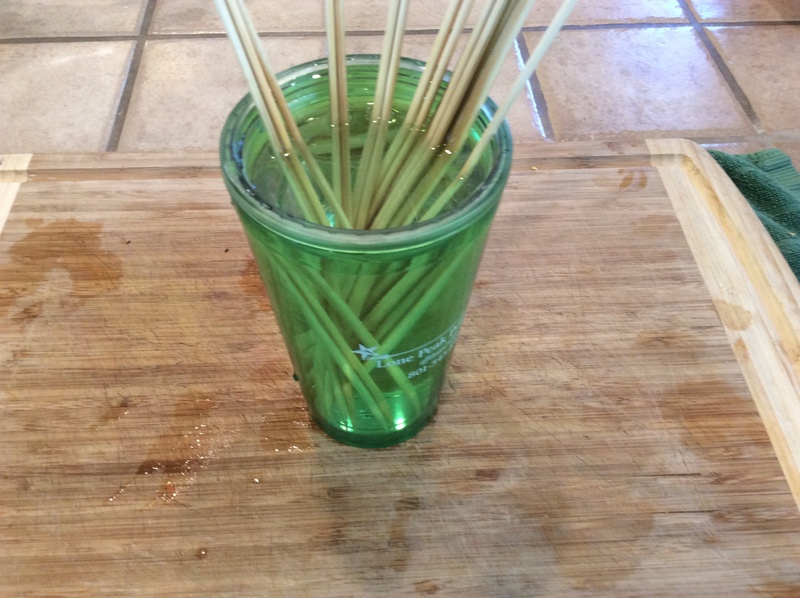 Heat the olive oil in a stock pot or large saucepan. Saute the onion until translucent, then add the garlic cook for a further 2 minutes. Add the spinach, watercress and Arugula to the onion and stir. Add the vegetable stock and potato. Blend the soup using a hand blender or food processor. Put horseradish, sour cream, lemon juice salt and pepper in a bowl and combine well. Spring is almost here for most of the country but for a lucky few it has already arrived. This looks like a great soup for St Patrick’s Day! Hank Shaw has this recipe on his website honest-food.net I will be looking for nettles this spring to make this soup. 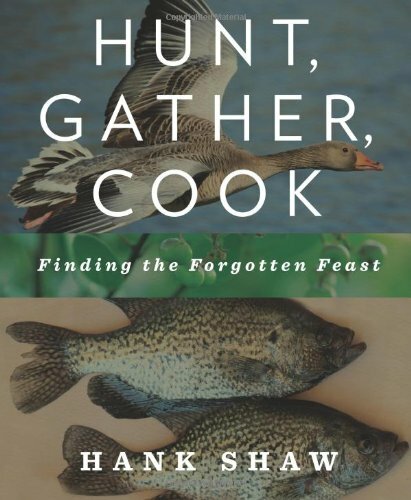 I just finished reading this great book by author Hank Shaw, “Hunt, Gather, Cook: Finding the Forgotten Feast. This book is a good read and will open your eyes to a lot of delicious natural foods that can be found probably very near to where you live. I encourage you to read this book as soon as possible. Purchase the book at the following Amazon link.